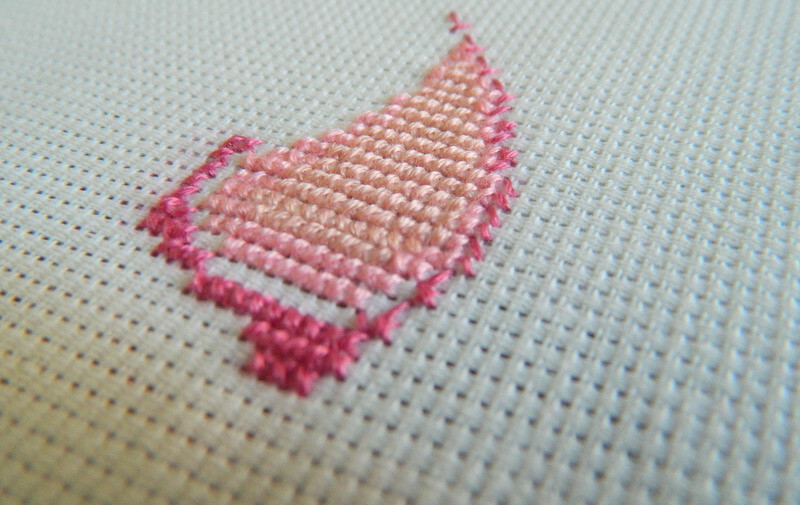 I started a cross stitch project! Can you tell I'm excited? Cross stitching has been in my mind for a while, but I always seemed to find an excuse to postpone it. Well, it seems like my dad read my mind and decided to give the encouragement that I needed. 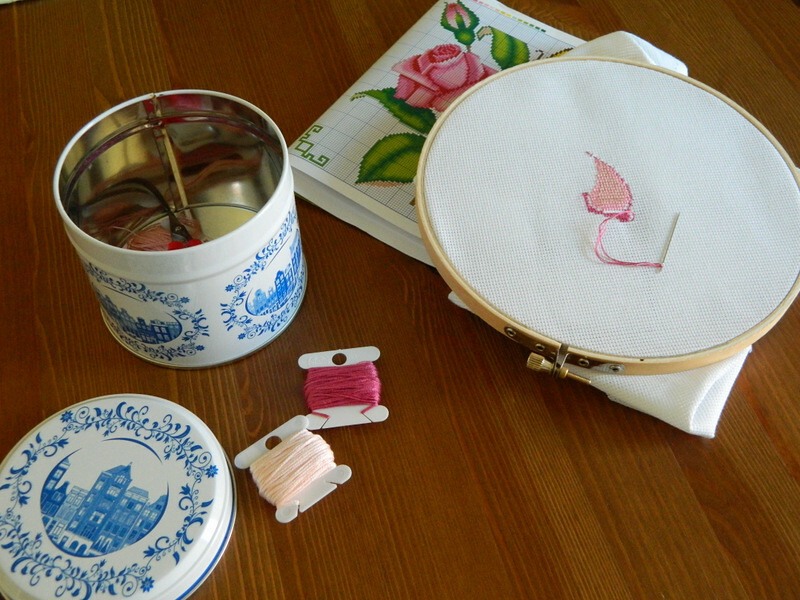 He just came back from a trip to Mexico and brought me several cross stitch pattern booklets and cross stitch fabric. 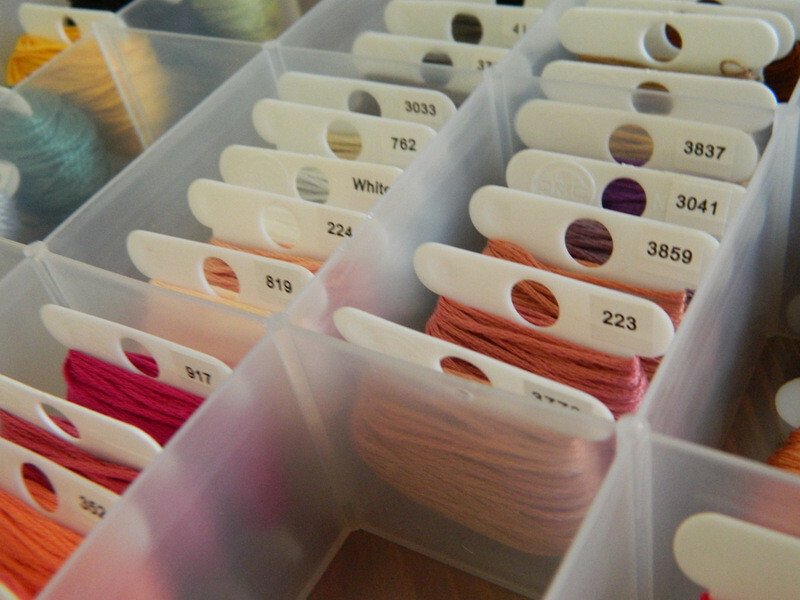 I was so delighted with my present that on Saturday I took out my embroidery flosses, organized them (finally!) and started stitching. I'm very slow, but it is really fun to the see pattern come together as you stitch every single little cross. At the speed that I'm going it looks like it is going to be a long term project, but it gives me something to do when I'm watching TV with my husband.